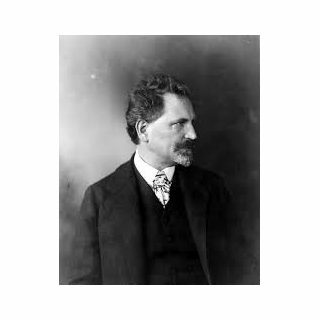 Alphonse Maria Mucha (1860-1939) is most often remembered for the prominent role he played in shaping the aesthetics of French Art Nouveau at the turn of the century. As a struggling and relatively unknown artist of Czech origin living in Paris, Mucha achieved immediate fame when, in December 1894, he accepted a commission to create a poster for one of the greatest actresses of this time, Sarah Bernhardt. Though the printer was apprehensive about submitting Mucha´s final design because of its new unconventional style, Bernhardt loved it and so did the public. ´Le style Mucha´, as Art Nouveau was known in its earliest days, was born. The success of that first poster brought a 6 years contract between Bernhardt and Mucha and in the following years his work for her and others included costumes and stage decorations, designs for magazines and book covers, jewellery and furniture and numerous posters. Mucha returned to Czechoslovakia in 1910, where he dedicated the remainder of his life to the production of a an epic series of 20 paintings depicting the history of the Slav people, the Slav Epic.